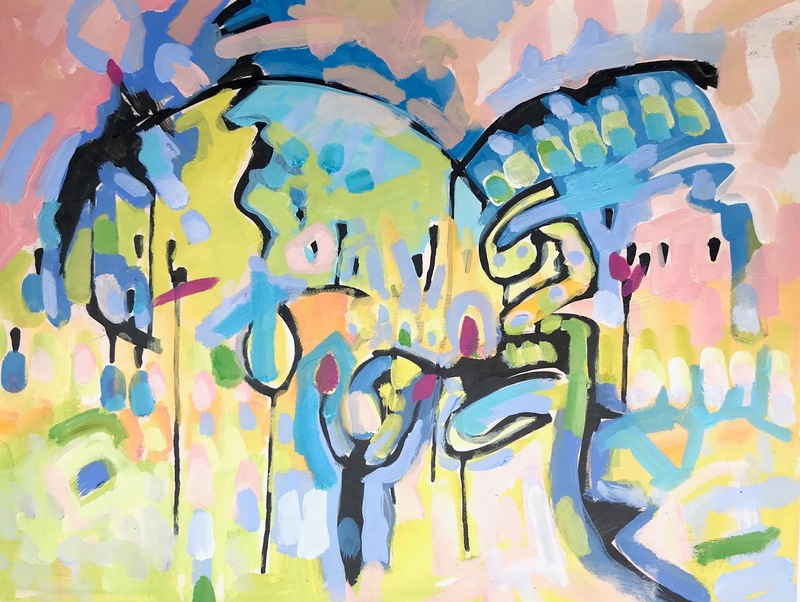 The artist will offer a live painting demonstration on Wednesday, August 1st and Thursday, August 2nd, from 10:00am – 3:00pm in the City Hall lobby. In the second part of her solo exhibition at Shoreline City Hall, Amy Pleasant uses a similarly bright color plate as the previous, classroom-inspired work in Lessons Learned to explore her sense of a new world in the making. Here in the 21st century, by contrast, Pleasant suggests a subtle rearrangement of the terms. In these 17 new works in a variety of presentation formats (including a huge 8’ x 5’ raw canvas painting), Pleasant captures the vibrancy of flora with a consistent eye for blue as a background. The exhibition is on view on the second floor of City Hall (17500 Midvale Ave N, Shoreline 98133; Monday - Friday 9:00am – 5:00pm) until October 17, 2018.